Originating from Instructables, a popular project-based community made up of all sorts of characters with wacky hobbies and a desire to pass on their wisdom to others, Backyard Rockets is made up of projects from a medley of authors who have collected and shared a treasure trove of rocket-launching plans and the knowledge to make their projects soar! The Instructables community has provided a compendium of rocket savvy from innovators who have paved the way for other curious minds. 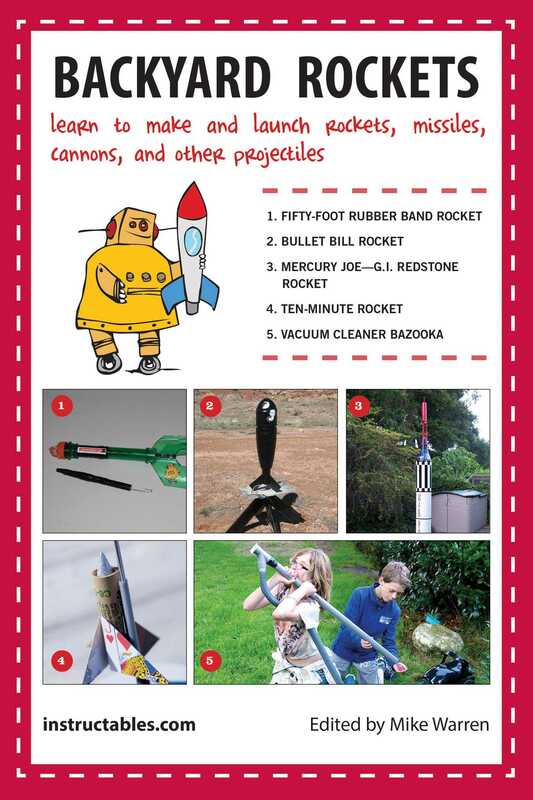 In addition to rockets, fireworks, and launchers in Backyard Rockets, you will discover the sense of accomplishment after watching your rocket soar into the sky! Instructables.com is a bona fide Internet sensation, a web-based community of motivated do-it-yourselfers who contribute invaluable how-to guides to the site on a wide range of topics, from gardening and home repair to recipes to gadgets that defy categorization. The site hosts more than 100,000 projects. More than 15 million people visit the site each month, leaving comments and suggestions on the ever-growing list of do-it-yourself projects.